The Orpheum Theatre Group is a Memphis, Tennessee, non-profit organization whose mission is “to enhance the communities we serve by utilizing the performing arts to entertain, educate and enlighten while preserving the historic Orpheum Theatre and the Halloran Centre for the Performing Arts & Education.” On its own and in partnerships with others, the theatre has been recognized on four occasions with Tony Awards for co-producing Best Musicals, most recently for The Band’s Visit in 2018. 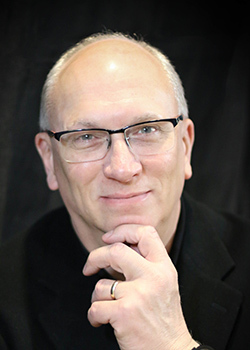 Brett Batterson assumed the role of President & CEO of the Orpheum Theatre Group on January 1, 2016. He has overseen the renaming and branding of the organization and led a total renovation of the Orpheum’s historic interior and offices. In the community, he founded the Memphis Cultural Coalition, a roundtable of the CEOs of Memphis’ largest cultural institutions. In 2017 he introduced Mending Hearts Camp, an arts camp for children who have experienced the death of a parent. This is the second such camp he has started, as he founded a similar camp, Hands Together, Heart to Art, in Chicago in 2005. While the Orpheum continues to host the Best of Broadway, as well as concerts and comedians, the Halloran Centre launched a new music series in 2016 and a theatre series in 2018. Batterson was pleased to recently announce that the blockbuster HAMILTON will make its Tennessee debut at the Orpheum in the 2018-19 season. Prior to assuming the role of President/CEO of the Orpheum Theatre Group, Batterson spent 11 years as Executive Director of the national historic landmark Auditorium Theatre in Chicago, Illinois. In that role, he created three successful city-wide festivals (Miles Davis Festival, Billy Strayhorn Festival, and The Music + Movement Festival). The Auditorium hosted the National Football League (NFL) Draft in 2015, the first time that event had been held outside of NYC in 50 years, and staged the successful celebration of the theatre’s 125th anniversary season in 2014. He also co-founded the ongoing program, Enrich Chicago, that is striving to bring racial equity in arts management to the city’s cultural institutions. Brett spent 10 years (1994-2004) at Michigan Opera Theatre in Detroit, serving as that company’s Chief Operating Officer. While there, he spearheaded the construction of the Detroit Opera House and was integral in presenting The Three Tenors at Tiger Stadium, which was the highest-grossing concert in America in 1999 with sales exceeding $6 million. In his first 15-year career as a Scenic Designer/Technical Director, he worked at such theatres as The Guthrie Theatre, Minnesota Opera Company, Chattanooga Theatre Centre, Theatre Midland, Chattanooga Symphony and Opera Association, Chattanooga Ballet, Minnesota Jazz Dance Company, Utah Shakespearean Festival, Idaho Summer Repertory Theatre, The Nashville Network, The Grand Ole Opry, Beverly Dinner Playhouse, and Tulane Center Stage. Batterson is active in numerous civic and trade organizations, including The Broadway League and Independent Presenters Network. While in Chicago, he served on the boards of The League of Chicago Theatres and Illinois Presenter’s Network. He also served on the advisory boards of Chicago Jazz Philharmonic, Ensemble Español Spanish Dance Theatre, Kalapryia Center for Indian Performing Arts, and Giordano Dance Chicago. Brett is a Paul Harris Fellow with Rotary International. Most recently, Batterson was recognized as the 2017 Presenter of the Year by the North American Performing Arts Managers and Agents (NAPAMA). He has also been recognized by the state of Michigan, as well as the Detroit City Council and Mayor’s Office, for his contributions to Michigan’s cultural life, and in 2009 received a State Farm Insurance Company “Embrace Life” Award as the creator of Hands Together, Heart to Art. In 2009, 2011, 2013, and 2015, Brett was recognized as one of the 50 most influential people in Chicago theatre by New City News. In that bi-annual ranking, he was ranked second in 2015. In 2014, on behalf of the Auditorium, Batterson accepted the inaugural Fifth Star Award from Mayor Rahm Emanuel and the city of Chicago, which recognized the theatre’s artistic contributions to the city. In 2016, Orbert Davis’ Chicago Jazz Philharmonic honored Brett with their “Think Big” award for his work creating performance opportunities for the orchestra. Brett is an Antoinette Perry (Tony) Award Voter. Brett holds a B.A. from Augsburg College and an M.F.A. from Tulane University. He is married to author Veronica Randolph Batterson. They have two adult daughters.